The tragedy of Othello is transposed to a 1970's suburban Washington schoolyard, where kids fall in and out of love with each other before lunchtime, and practice a casual racism picked up from their parents and teachers. 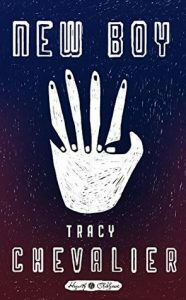 Peeking over the shoulders of four 11 year olds Osei, Dee, Ian, and his reluctant girlfriend Mimi, Tracy Chevalier's powerful drama of friends torn apart by jealousy, bullying and betrayal will leave you reeling. You are not my brother, O thought. He hated it when white people used that word, trying to take on some of the coolness of black culture without wearing the skin and paying the dues. Tracy Chevalier’s New Boy is the latest installment in the Hogarth Shakespeare series, and I think it’s one of my favorites of the series. Having studied and taught Othello, I felt as if I were able to deconstruct the novella as I was reading it and delight in the correlations of the novella to the play. Osei, or O, is a Ghanian diplomat’s son, and he is attending a new school in the 1970s in the suburbs of Washington, D.C. when a series of dramatic events unfold on school grounds from first bell to the final bell. It’s evident from the beginning that O is one of the only black students to attend this school, and that sets him apart immediately. Racial tensions are high, and everyone from the students to the instructors harbors some kind of prejudice toward O either through their own ignorance or through something that happens during the span of the day. I thought Chevalier’s transposition of the dramatics of Othello to a schoolyard playground with all of its hormone-fueled rage, jealousies, and love was spectacularly done. Somehow the age of the major characters seemed to elevate the drama to something at once so believable and frightening. The final scene in the novella is heart-stopping and ends abruptly. I only wish there was more, a few pages of the aftermath, but as in the play, the reader is left with a quick cut to a black screen without that neat resolution. In such a small book, Chevalier weaves a depth in each of her major characters, and her talent really shines in her development of O’s struggles at home, with himself and his place in the world, and how those struggles clash with the reality he faces at his new school. You feel his awkwardness, his intelligence, his anger, his love, and his wrath in a mere two hundred pages, and you’re left wanting to know more about this young man by the time the book ends. New Boy is a masterful retelling of one of Shakespeare’s most racially charged plays, and it had me hooked from page one. 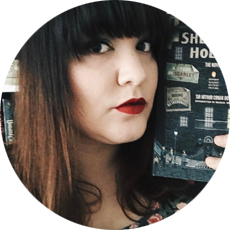 A copy of this book was sent to me for review by Blogging for Books! All opinions are my own.